The payday loan industry is enormous at over 85 billion dollars. In 2008 the state of Ohio passed legislation limiting the interest rate to 28% for businesses offering payday advance loans. This puts the interest rate at close to the same rate as a credit card. The state supported this bill by 64%. Proponents of the bill noted that payday loans cause the poor to get caught in a vicious cycle of debt that they cannot escape. The interest rates on these types of loans ranges from 300% -600%. It is also important to understand the amount of risk involved with this type of transaction for the person lending the money. Given the size of the industry it would seem that there is plenty of profit motive to enter the market and that someone would lend at a lower percentage to pick up more business. However, the only thing to factor in must be the size of risk involved. More innovative online pay day lenders such as those that offer no fax payday loan have actually decided to stop lending in Ohio due to the new legislation. This limits choice for Ohioans and others in States that limit pay day interest rates. Some have suggested that state level assistance programs may be necessary in the absence of this form of credit. I’m interested to hear your thoughts on the subject. Leave a comment and let me know what you think. Does the new legislation protect those who would otherwise be taken advantage of or is this a necessary service that people depend on that will no longer be an option? In life we are constantly making deals in ways we might not even think of. It doesn’t have to be as big as buying a house, paying off debt or some other major life event. We make deals as simple as splitting a piece of gum with someone. Traditionally, I’ve used the 50/50 split rule. It seems intuitive and fair. Growing up when I used to split a piece of gum my mom used to tell me, “you split, I pick.” This method ensured that we both had a common interest in making sure the split was as fair as possible. However, you may be able to get a little more if you don’t get to greedy. Enter the science of what economists call the ultimatum game. In this scenario, there are two participants. One participant is given a sum of money. He or she is told that they must make an offer to the second participant. If the 2nd participant accepts the offer they can both keep the money. Remember, the 2nd participant will always be better off by accepting some offer. For example, a single penny is better than nothing. As you can imagine, the 2nd participant declines the offer at some level. What numerous studies have shown is that regardless of income level or size of offer that the 2nd participant usually declines when their share drops below 30%. This has numerous implications for deal making and sharing of resources. As long as you can position yourself to let the other person think they are getting more than 30% of the benefit in a deal there is a good chance they will accept. Forget what some people said about how bleak the year 2009 is. The truth is, all we need right now is financial planning. The premise – plan your finance well, and it will deliver you from financial woes that hit many who unprepared in 2007 and 2008. Financial planning has always been important. Unfortunately, not all people believe the fact, until they were hit by financial problems. ‘Thanks’ to recession, the financial problems are magnified – due to the recession, financial planning has never been this important in the history of the mankind! Particularly in 2009, financial planning is probably your most important task to do, either for your business finances or personal finances. Creating a form of safety net or save haven for your money and finance will not only help you survive the recession, but also triumph over it. Even better, you need to find a way to utilise all financial knowledge and tools you have to yield the best return for every penny or cent you have. Here’s several plan ‘items’ you should consider thinking about. 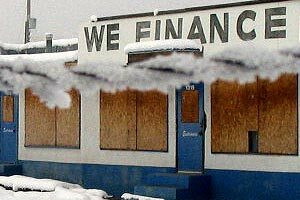 As we know, banking and financial institutions are one of the hardest hit in today’s recession. In the US, the Fed squeezes record-amount of fund to keep those institutions afloat. Why? One of their fear: People rush to close their accounts. However, in my opinion, that’s what you suppose to do – forget your saving and deposit account. I’m not suggesting you to close your saving and deposit accounts – they are important parts in diversification. What I’m suggesting you is NOT to put too much money in them. With the rising inflation in every part of the world, your saving and deposit accounts interest rates are becoming more and more insignificant. You need to get back to what all the money in the world should base upon – gold and the other precious metals. Although the price of the metals are sky high, they are one of the safest investment forms today. Unlike most financial planners suggest, I suggest you not to cut your credit cards. Instead, I recommend you to consolidate your credit cards – transfer your existing credit cards to lower APR ones or to credit card issuers that offer the most perks and rewards. How to know which ones you should transfer balance to or apply for, invest some time to browse the Net for reviews and recommendations on credit cards issuer. Credit card sites offer alternatives you can consider, including which credit cards are good for what purposes. My favourite credit cards story is that of my colleague’s – he shop for his business needs with his business credit cards. With tens of thousands dollar month after month business spending made on his credit cards, he is enabled to vacationing regularly and staying in luxury hotels, courtesy of his business credit card issuers – a win-win situation for credit card issuers and holders. When I say ‘utilise your credit card better’ in plan #2 above, I think credit cards as your ‘bridging’ in your financial planning. That being said, avoid using credit cards for loan purposes, as the interest rates are high. Instead, cut any debts related to credit cards. In fact, cut any debts that are aimed to people with low credit scores, such as payday loan. Not that payday loan is not useful – it does in certain circumstances – but you should consider a lower interest loans that brings positive cash flow to your pocket. Happy holiday and happy planning! You need a break somehow, and be prepared for the coming 2009. Remember the butterfly effect I mentioned in my previous articles – what you do and think about your finances will affect your community – being positive is contagious, and it will eventually end the recession somehow. I wish you have a happy holiday and happy planning! Why US is Consumer Debt Ridden? 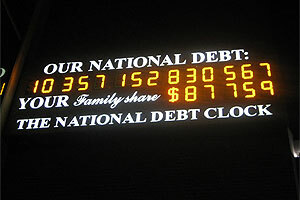 US is well known as one of the biggest creditors, as well as debtors in the world. Although US helps funding other countries, especially developing countries, it own people is debt ridden. Why such a contrast? In my opinion, culture and opportunities are the main culprit. Taking consumer debts, especially with the ever-present of very interesting credit cards offer has been a trend, if not a culture in every American life. Credit card, a major part of the cashless society movement, offers convenience to its holder. It’s unbelievable today if we know someone without having at least one plastic in one’s wallet. Credit cards are basically useful and convenient. You don’t have to carry cash with you, bringing convenience in your daily life, as well as minimising the risk of, say, pick pocketing. With low interest cards being offered these days, with additional perks, such as 0 APR or interest free period for a limited time, consumers are attracted to sign for one. No matter how much information on credit cards benefit available, the debt-ridden US today is suffering simply due to the nature of human being – spend what they see, and spend even more what they don’t see. For example, if you had a $100 in your wallet, you have the tendency to spend it recklessly when you go to the supermarket. This ‘genetic’ problem is amplified by the availability of credit cards. Suppose you were given a limit, say $500. You will always have the tendency to spend more than you should, because you don’t ‘see’ the money you have in your pocket. This is amplified by the sense of ‘you-can-pay-the-bill-later’. Here’s a good news for responsible and well informed credit card holders – you can actually clear your debt with the help of credit cards, as well as helping you raise your credit score. Clearing debts – Using credit cards smart and cautiously will allow you to have 30-day interest free loan. The key is to pay your bills before it’s due, and pay them in full. Raising credit score – Choose reputable credit card issuers, and use your plastics as usual. The key is never pays your bills late. Do this regularly will give you a ‘shining’ report. Choose your credit cards wisely, and they will help you in your personal finance. Does Short Term Financial Fix Can Really Solve Financial Problems? Most people would do anything to solve financial problems, as financial problems almost always come along with relationship problems. As money is still a taboo topic today, financial problems are getting worse by not having a constructive and honest conversation about money. An article by Psychology Today explained that although money is an emotionally loaded topic, it is still taboo topic to talk in family conversation. The result, as financial problems strike, is that most family ‘blindly’ take any financial help on sight, often in the form of unsecured loans. Personal loans, mostly short term, are often viewed as a solution by family facing financial hardships. Come in the form of payday loans and cash advances, personal loans offer short term remedies for those financial problems. Personal loans themselves are actually useful and purposed to help people. However, taking loans without proper money knowledge will eventually make the financial hardship even worse. This, in turn, creates a general opinion that personal short-term loans are negative and should be avoided whenever possible. I viewed the negative reputation of personal short term loans is a misled perception. The high APR is often considered as the main culprit of many financial hardships, thus receiving negative reputation. The facts often prove the otherwise. The limited knowledge and wrong mindset of the borrowers are the actual culprit. Most personal loans are installment loans – a certain amount of loan should be paid back at the definite due date until all the total amount are paid off. This, in itself, is actually helping borrowers to cut the headaches and avoid late payment penalties. Some personal short term loan providers are even allowing you to pay off loan whenever you can, thus limiting the amount of interest paid. Although short term loans are notably higher in APR than traditional loans, the fast approval and low credit score-friendliness are strong appeals for people and family with immediate need of cash. Short term loans, with the right attitude and knowledge, can solve financial problems, as well as relationship problems. I suggest you to learn about the good debt and bad debt. Good debts put money in your pocket, while bad debts take money from it. In other words, use your personal short term loans not as your source for personal shopping and debt clearing, but for cash management enhancing purposes, such as securing profitable side business deals. As long as you understand the concept of good debt and bad debt, short term loans offer options for your personal finance management endeavour. Payday Loan for People with Low Credit Score: Hope or Nightmare? There always be a pro-contra on payday loan. The largest pro-contra on payday loan is due to the premise that payday loan is purposed to help people getting small amount of cash, usually $100 to $500, quick. Typically, the ones who need payday loans are those that need cash quick and low credit score. What is a payday loan or payday cash advance? Payday loan is a form of cash advance , where borrower receive a short-term loan, which amount is usually between $100 to $500, and payable within under 1 month period, until payday. Most people always have a certain needs that are related to money, such as covering daily expense. This fact, along with the fact that most payday loan taker is low income person, have made payday loan a viable option. The psychology is simple – a pressing need requires an immediate gratification. This is where payday loan comes into play. Unfortunately, many slump into bad debts simply because they don’t understand about payday loan, or they don’t have the right reason to take payday loan. Most payday loan providers offer fast approvals and open for low credit score applicant. Online payday loan provider, such as Payday One – a US-based and state licensed payday loans provider – offer 24/7 access to payday information and application. The high interest rate is the main drawback of payday loan. The interest rate is approximately 400% APR, which means a $100 loan should be repaid $115 within 2 weeks. Moreover, if you are not careful in managing your payday loans, you can easily get trapped in a vicious cycle of borrowing money to cover other loans. This is what often happens, and give payday loans negative reputation. Payday loan: a hope or a nightmare? The pitfall is not on the payday loan – the concept of payday loan itself is plausible and actually purposed to help people with financial difficulties. It is the borrower financial knowledge and mindset that determine whether payday loan is a hope or a nightmare. No matter your credit scores – it is your vision of what to be made of payday loans that will actually allow you the make payday loans as a financial leverage. Many people think credit cards as the temporary solution for their long term financial problems. What I mean by financial problems is not financial hardship, but financial knowledge. Credit cards main selling points are convenience, cashless and rewards. People sign for credit cards for those perks. While credit card offers today is interesting – some offered 0% APR on Purchases, even 0% on everything – many people will eventually build up their credit card debts. The question – why with all of the free and 0% offers some people still in deep credit card debts, that take years to clear and have to pay hefty amount of outstanding plus interest? The answer – it is ‘humane’ that people always want more. Along with bad personal financial management, bad spending habit and wrong money mindset, here are why people stumble on credit card debts. People always want to get rich. However, people forget that being rich doesn’t mean you have a lot of money. For some, being rich is status – no matter how much debt they have. Some of status symbol is credit cards. Having a strong financial knowledge will help you to make more and spend not too much. “If you have $100 in your wallet, how long will it last?” Most people will answer, “Right away!” Not many people have the strong will to spend carefully of their cash. Most of us need the cash to be ‘secured’ from ourselves to investment instruments, such as deposits or mutual funds. Credit cards alleviate this problems. Fast food is convenient – you can eat as you go. This, not considering the content of the fast food itself, will cause people to eat more, simply because of the convenience. This also applies to credit cards. Convenience in credit cards will likely cause you to spend more than you should. I don’t recommend you not to have credit cards. Credit cards are actually very useful in our daily lives. However, I strongly recommend you not to have credit card outstanding debts. 0% APR on Purchases, 0% APR balance transfer, free annual fee, and even 0% everything – the competing credit card issuers mean benefit for us consumers. Convenience is credit cards main selling point – credit cards is easy to carry and secure – if anything goes wrong, call your issuers to block the cards. Frequent fliers, hotel deals, dining deals, cash backs, and other rewards are lavishing frequent shoppers. You can save a lot of money if you know which credit card issuers offering what – Go to credit card comparison websites to learn more which issuers are the right ones for you. I strongly recommend you to have the right mindset before applying for any credit cards, to get all the benefits of credit cards, such as savings, and avoid all the problems that most people with credit cards have, such as outstanding debts.